Six years ago today the state of Texas executed an FBI agent, a state district judge, the president of Kenya and a war hero who commanded a nuclear-powered submarine during the Civil War. More aptly put, Texas executed a seriously mental ill inmate named Monty Allen Delk who, at varying times, believed he was all of these things. Delk was convicted and sentenced to death for the murder of Gene “Bubba” Allen of Anderson County in East Texas. Although the state of Texas maintained that Delk was “malingering,” i.e., pretending to be mentally ill to stave off execution, the prison system’s former chief mental health officer stated that Delk suffered from a severe mental illness, one that had become progressive in nature since it was first noticed in 1989 –- years after Delk was tried and convicted. The U.S. Supreme Court has ruled that executing severely mentally ill inmates violates the U.S. Constitution. The court also has held that a death row inmate must be mentally competent in order to drop his appeals. But the court has not directly addressed the issue of whether a death row inmate must be mentally competent in order to pursue his state and federal habeas appeals. In fact, the Texas Court of Criminal Appeals, and the 5th Circuit Court of Appeals, which has jurisdiction over death penalty cases in Texas, have ruled that prisoner competence during state and federal habeas proceedings is not constitutionally required. The question is fundamental to due process. Habeas is the first, last and often only avenue of appeal for death row inmates whose sentences have been upheld on direct appeal by the Texas Court of Criminal Appeals. But because Delk was unable to assist his attorney through his habeas appeals, he could not answer simple questions that were key to his case -– questions such as, did he commit the crime? Did he think his trial was fair? Did he think his trial lawyers adequately represented him? Were there circumstances about the crime or about his personal history that mitigated against a death sentence? The fact that Delk’s execution was allowed to proceed represented a three-pronged failure on the part of Texas’ death penalty system. The first failure must be attributed to the courts, which failed to order a psychiatric evaluation of Delk, despite repeated requests by Delk’s very able attorney, John Wright of Huntsville. The third failure rested with the Texas media. While Williams’ case attracted comprehensive media coverage in Georgia and beyond, newspapers in Texas largely failed to investigate Delk’s case. Government -– including the criminal justice system –- works best under the glare of public scrutiny. Absent such scrutiny, abuses occur. In this case, no one outside Texas’ fervent anti-death penalty community took much notice of Delk’s execution. The good news is Texas’ newspapers are beginning to sit up and take notice. If I am not mistaken, every major Texas newspaper has called either for abolition of the death penalty or for a moratorium on executions. The issue of capital punishment has advanced from the margins to the mainstream. In today’s climate, one wonders whether Texas officials could get away with executing a person as severely mentally ill as Delk. Is executing someone who is so severely mentally ill he does not know who he is not the very definition of an insane act? As day broke, officials could be seen making the gallows ready on the prison roof. The seven wooden coffins were brought up; the drop was erected; bags of sawdust were arranged to catch the blood when the heads were severed. Still the crowd watched in oppressive silence. At eight thirty, the prisoners began to file up to the scaffold. First was John Macnamara, a stout, florid Irishman, who looked down at the packed streets and exclaimed loudly and devoutly: ‘Lord Jesus, have mercy upon me!’. Next came Arthur Graham, at fifty-three the oldest of the traitors, who looked shaken, ‘pale and ghastly’. Next, James Wratton, a thin, pinched-looking shoemaker, who ‘ascended the gallows with much firmness’. The carpenter Thomas Broughton followed, then the two tall, amiable-looking soldiers, John Wood, then John Francis. Finally, the Colonel took the steps up to the drop. He was impassive; ‘his countenance underwent not the slightest change’ as the rope was fastened around his neck and the cap placed on his head. He assisted the executioner in adjusting the noose, taking care to tie the knot under his left ear to facilitate a speedy death. John Macnamara is reported to have muttered to Despard: ‘I am afraid, Colonel, we have got ourselves into a bad situation’. Despard replied: ‘There are many better, and some worse’. Two priests arrived on the platform: a Roman Catholic who read the last rites to Macnamara and the Anglican prison chaplain, Rev. William Winckworth, who did the same to the other five associates. Despard himself declined any religious absolution. It had emerged during his imprisonment that ‘although he thought the institution of religion politic, he had no faith in its efficacy’. When pressed by Winckworth, he had admitted that, as far as he was concerned, ‘the opinions of churchmen, dissenters, Quakers, Methodists, Catholics, savages or even atheists were equally indifferent’. By this time nearly a hundred officers, dignitaries and guards had joined the condemned on the roof. When all was ready, Despard turned to the Sheriff of Southwark, who was presiding over the event, and asked permission to address a few words to the people. The Sheriff told him that he had no objection, ‘provided nothing inflammatory or improper was intended’; but if Despard were to speak a single word of that kind, the platform would be immediately dropped. Given Despard’s situation, this was a difficult tightrope to walk, but he was ready for the challenge. What followed was, even in the remarkable annals of gallows speeches, perhaps the most notorious and best-remembered. Despard stood up straight and, in clear tones, addressed the crowd: ‘Fellow Citizens’. It was a carefully judged phrase, with clear republican associations yet in itself some way short of an incitement to revolution. Despard may have used it to gauge the crowd’s mood, or the Sheriff’s tolerance, but its reception is impossible to judge today. The accounts of Despard’s speech perfectly illustrate the paradox that the more witnesses are present at an event, the harder it is to establish exactly what happened. Robert Southey, the future Poet Laureate, was among the packed crowd; he records that ‘the mob applauded him while he spoke’. Others maintained that his speech was received ‘in the most perfect silence’. Still others squared the circle by reporting that the speech ‘was applauded by certain persons who appeared to have placed themselves near for the purpose’, presumably attempting to incite the crowd to a frenzy, but that the crowd refused to join in. Doubtless others still would have suspected — and with some justification — that the vocal front row were government agents provocateurs, trying to encourage Despard’s fellow-traitors in the crowd to reveal themselves in the presence of the massed guard. ‘I come here, as you see’, Despard continued, ‘after having served my country faithfully, honourably and usefully served it, for thirty years and upwards, to suffer death upon a scaffold for a crime of which I protest I am not guilty. I solemnly declare that I am no more guilty of it than any of you who may now be hearing me’. Again, a judicious combination of plain speaking and hidden meaning: Despard’s not guilty plea was a matter of public record, and he was perfectly entitled to repeat it. Yet, as everyone knew, much more depended on the statement than the Colonel’s own innocence or guilt. If the government was prepared to use the ultimate penalty to silence him, and unjustly, then they were themselves condemned. For Robert Southey, this was Despard’s sly masterstroke. ‘This calm declaration of a dying man’ he wrote later, ‘was so well calculated to do mischief’. It was, for Southey at least, the perfect instrument of malice and revenge, far more plausible than a rabble-rousing denunciation. But the majority of the crowd would have taken it as a simple statement of record. So much of what was known of Despard’s views had been disputed, attributed, denied or fabricated, that simply hearing him in his own words would have conveyed a forceful impression of truth. It was a gentlemanly sign-off, courteous both to the crowd and to the officials clustered around him, but it smuggled in another subtle barb. It was the references to tyranny and falsehood which had prompted the Sheriff to put an end to his speech, casting aspersions as they did not just on the government of the day but on the monarchy and the entire political establishment. Yet ‘mankind in general’, added to his previous and precise use of the term ‘the human race’, made a larger point. Who or what, precisely, was he referring to? Many in the crowd would have assumed he was referring to them, the disenfranchised masses, and implying that his cause was theirs: liberty and justice for all, not merely for the few. Those of Irish background or sympathies, of whom there were undoubtedly many, might have construed it more pointedly in terms of their own struggle for self-government. In fact, if Despard had anyone particular in mind, it was most likely to have been those for whom he first took it upon himself to seek justice: a small and scattered tribe of creoles, Irish convicts and freed black slaves in a remote part of the world which most of the crowd had never heard of. Some among the crowd, though, would certainly have caught this drift. Pamphlets and memoirs telling the rollicking tale of Despard’s life had been circulating widely in recent weeks. Many would have known, for example, that his wife, Catherine, was a black woman with whom he had returned from his years of military service in the Caribbean and the Spanish Main. Despard’s conviction for high treason had been secured, contentiously, on allegations of a plot against the British Crown; but his final exhortation expanded the frame to a panorama beyond Britain’s shores. It may have been the struggle for British liberties which had finally claimed him, but he had been forged in a wider world of which most in the crowd were yet unaware. The British might celebrate that they never would be slaves, but what right had they to celebrate if their liberty was founded on the slavery of another portion of mankind? Few among the crowd could have conceived that, within twenty years, sovereignty over two hundred million people — a quarter of the world’s population — would be claimed in their name. Yet this was a future which Despard had already seen: his life had unfolded there, and its front line was perhaps still the closest he had to a home. John Francis, next to Despard, looked straight ahead. ‘What an amazing crowd’, he observed. Despard looked up, and spoke his final words: ‘Tis very cold; I think we shall have some rain’. The moment around which all the activity of the last two days had centred could be put off no longer. At seven minutes to nine the signal was given to drop the platforms, beginning with Despard’s. In the first unambiguous expression of their feelings since they had assembled, the crowd all removed their hats. The rope was jerked, the platform gave way; Despard uttered no sound and betrayed no struggle. He clenched his hands in spasm twice, and then hung perfectly still as he was, in the words of one eye-witness chronicle, ‘launched into eternity’. Yet, as everyone was well aware, there was more to come. Despard hung in the massive silence. In the days before measured ropes and weighted drops, death by hanging was an uncertain business. It was thirty-seven minutes before the executioner finally cut him down, and wrestled his corpse over the block. Despard’s dark coat flapped back to reveal a blue undercoat with gilt buttons, a cream waistcoat trimmed with gold lace, and a strip of scarlet flannel turned over the waist of his grey breeches. The executioner stepped back to make way for the surgeon with the dissecting knife. This was the part of the ritual which had barely been seen within living memory and, as soon became clear, had never previously been attempted by anyone present. The surgeon aimed at a joint in the neck vertebrae but missed it, and was soon reduced to nervous hacking. The executioner barged him out of the way and began twisting Despard’s neck this way and that, a spectacle which ‘filled everyone present with horror’. (Again, other sources –- whether from restricted view or self-censorship -– recorded that the head was ‘severed in an instant’.) When Despard’s head was eventually separated, the executioner picked it up by the hair, carried to to the edge of the parapet in his right hand and held it before the crowd. As he did so, he spoke the words which had for centuries marked the climax of the ceremony, but which were now ringing out for the first time over the modern world: ‘This is the head of a traitor: Edward Marcus Despard’. Robert Southey records that the crowd broke their silence at this point to hiss the executioner. Others claim that they maintained it to the end, when the freezing rain began to bucket down. Executed Today: What an amazing story — why in the world is he so obscure? Mike Jay: Basically, because history is written by the victors. Although his execution was a huge story at the time, it was almost entirely airbrushed out of British history in the years that followed. The story that the British told to themselves throughout the 19th century was one of triumphal progress from Trafalgar and Waterloo to empire and global ascendancy. Despard’s story, by contrast, speaks of an alternative history that ‘failed’ — Britain never had the revolutions that shook almost every other modern state between 1776 and 1848 — but that nevertheless revealed Britain to have been deeply divided, and a significant stand of British opinion consistently opposed to its emerging colonial/imperial role. We also hear little, for example, of the naval mutinies in 1798, during which the British fleet threatened to sail across the Channel and join the French enemy. Nor do we hear much of the mass public campaigns against the war with France and Pitt’s heavy-handed suppression of dissent, which formed the background to Despard’s treason. Much of this lost history was recovered by the historians of the new left, E.P. Thompson et. al., in the 1960s. But Despard is also an uncomfortable fit with their project to (crudely put) draw a line of continuity between these forms of working class resistance and the later history of Chartism/socialism/Marxism. Despard’s committment to liberty was, I think, better characterised as patriotic and strongly conservative: a conviction (widely shared in the 1790s) that Britain stood for precisely the liberties that the Pitt administration was intent on dismantling. So, in a way, he fits with no-one’s story — hence his obscurity I think. ET: The particulars of what he might really have been “guilty” of, by the standards of his prosecutors, seem a little obscure. Did you form a judgment about what he was and was not involved in? MJ: Throughout the 19th century he was universally regarded as guilty, and mad to boot (how else could he have come to believe that Britain was ready for a revolution?). But subsequent research has turned up lots of relevant material, though much of it consists of espionage reports that are highly unreliable and contested. In outline, it seems that some sort of plot or barracks mutiny was under way, but Despard’s relation to it is unclear. He may have got involved to stop it — then again, if he did, it may have been in order to organise it into a bigger and more effective plot. But the indications are that the government actually believed he was only on the fringes of the ‘Despard Plot’ — they knew of others who were more deeply involved, but to charge them would have blown their embedded agents. They also wished to avoid alarming the public with any suspicions that the plot might be large or well-organised, or have an international (French/Irish) component. Despard was a ‘name of consequence’ who had exposed himself by meeting known conspirators in the Oakley Arms, and they decided to push his moment of indiscretion for all its was worth. It should be remembered that he was found guilty at a point when the government had extended the definition of treason, and had done so precisely because its meaning was contested. By the same token, under the new definitions of Pitt’s clampdown, it’s hard to imagine that Despard could have kept the company he did without belonging to organisations that had recently been classed as seditious, or having signed ‘illegal’ oaths. In short, he wasn’t entirely innocent, but questions of his ‘guilt’ beg larger questions about the state’s authority and legitimacy at that time. ET: Do you have an idea of how he came to espouse the opinions that got him into trouble? And how radical were they, really, for his time? Do we mainly think of them as radical because they were successfully repressed? MJ: He was really a casualty of British politics’ sharp reactionary turn following the French Revolution. He returned from the Caribbean in 1790 convinced that colonial oppression and discrimination offended against the British sense of fair play, but his politics was really codified by reading Tom Paine’s Rights of Man in 1792 (he referred to it as his ‘Bible’). But by 1794 Paine was exiled, his book prosecuted for sedition and his followers labelled as terrorists. Despard, who had lived in the colonies by a strict code of honour (like his friend Nelson) was naive about this shift, and stuck to his principles without entirely understanding how much trouble they would get him into. Many of his causes were adopted by the subsequent generation, and were eventually legitimised by, for example, the Reform Act of 1832. But this generation was keen to distance themselves from the revolutionary language of the 1790s, and to paint themselves as representatives of a more consensual and moderate element of society. So in this sense the triumph of Despard’s (really mostly Paine’s) causes — freedom of the press, abolition of slavery, the right to public meetings and trade unions, religious tolerance, tax based on means, state provision for the poor, and of course the right to vote — were won at the expense of their original proponents’ reputations. ET: I was intrigued by your characterization of Despard as seeing a vista of the future that most of his countrymen were not yet ready to understand. But there were many people on that “front line” of colonial power, and Despard’s was a revolutionary age. So why was the path he took so much the exception rather than the rule? His was an awkward and unusual position. Had he been living in feudal Japan at the time, he might have been recognised as a familiar archetype: the ronin, a samurai without a master, a loose cannon, dangerous to his former superiors and a valuable asset to any plotter. In Britain, he was an anomaly: a man out of time, a patriot without a nation. ET: The excerpt on mikejay.net says we have next to nothing about the subsequent fate of his wife and son. Nothing more has been discovered or developed? MJ: That’s all I’ve managed to glean (and hard work some of that was too!). Catherine and James were written out of the family history by the next generation — there are memoirs written by two of Edward’s nieces that refer to her as ‘his black housekeeper’ and ‘the poor woman who called herself his wife’.(!!) James was serving as an ensign in the French army at the time of his father’s death, and I think it’s likely that both ended up either in France or Ireland, where I’ve been unable to follow them. ET: And we don’t have anything about Catherine during her marriage, her sense of the world? MJ: She’s entirely invisible in the archive — no picture, no place or date of birth or death. (Of course, this is true of most people who lived in the 18th century.) I’ve filled in the context of black people in Britian at the time as far as I could, and there are some suggestively parallel case histories (e.g. Olaudah Equiano) but beyond that one would have to resort to fiction. I’d love to know more. ET: Your title makes an explicitly modern connection — “Britain’s first war on terror”. What does the Despard case have to tell us now? Is there a modern-day Despard? must grapple with the paradox, rare in the history of treason, of an honourable traitor: a man who acted honestly and selflessly, believed himself innocent, refused to tailor his story for different sides and went to his grave betraying not a soul. Generally, I think his case tells us that today’s War on Terror is not as unprecedented as many would have us believe. 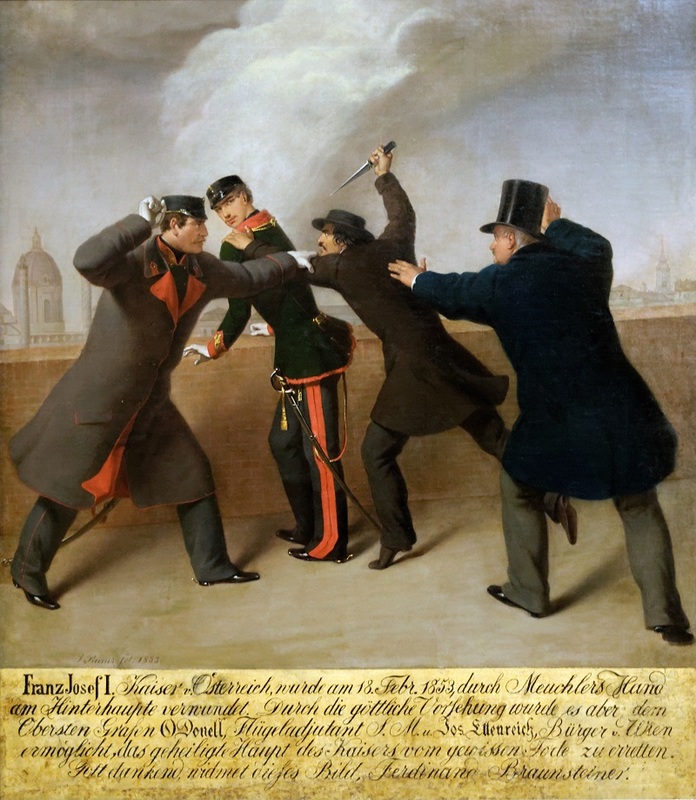 It’s also noteworthy that the episode is still so contested: historians have not (and clearly never will) resolve the question of whether Despard’s case represented a serious terrorist or revolutionary threat. I suspect that, when the dust settles, our current episode will offer equally little consensus or closure. More about Col. Despard can be found for free in this contemporary Criminal Recorder entry and this complete trial record. Neither approaches the perspective — and cracking writing — in The Unfortunate Colonel Despard.